These Lee Silverman Voice Treatment programs have been created for patients with Parkinson's an other neurological conditions. Memorial Hospital is one of the only hospitals in the area to offer both programs together. LSVT BIG is an exercise program, while LSVT LOUD is a speech treatment. The LSVT® Programs have been developed and scientifically researched over the past 20 years with funding from the National Institutes of Health. 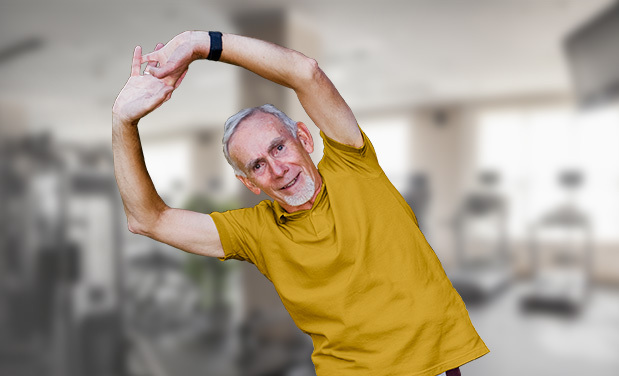 This program continues to show benefits for those individuals in the later stages of Parkinson's disease—it requires a modified exercise program, increased length of treatment, and caregiver participation/education. LSVT BIG will teach you how to avoid inactivity and keep your movement alive during everyday activities. It will help you participate fully and improve the quality of your life. This program helps boost vocal loudness using exercises that stimulate the voice box muscles. In addition to being a treatment for Parkinson's patients, LSVT LOUD may help with disordered articulation, diminished facial expression, and impaired swallowing. Research shows patients can maintain results of the treatment for up to two years. The LSVT LOUD has one goal: "speak LOUD!" It enhances how respiratory, laryngeal, and articulatory areas work to improve speech intelligibility. LSVT LOUD is not teaching patients to yell, but it is teaching them to understand that their voice is too soft and how to speak louder, yet still in a normal speaking tone. ​Using intensive, high-effort voice exercises, LSVT LOUD trains healthy vocal loudness as a trigger for distributed effects across the speech production system (voice, articulation, rate) using the simple cue, "Think LOUD." The program avoids any direct training focus on respiration or articulation. Through daily activities that focus on establishing an internal effort level needed for a speaker to be heard and understood, LSVT LOUD retrains the sensorimotor processing and internal cueing disorders at the same time. ​LSVT LOUD also uses many of the fundamental principles of exercise and motor training that have been shown to promote brain reorganization (Kleim & Jones, 2008). Each patient has 16 one-hour individual sessions: four consecutive days a week for four weeks. ​Recent research studies have documented the effectiveness of LSVT LOUD in improving the common problems of disordered articulation, diminished facial expression, and impaired swallowing. ​Two brain imaging studies have documented evidence of positive changes in the brain following LSVT therapy.